Beth Moore, Dedicated to Bible Literacy & A Commitment to Guide Believers to Love & Live on God's Word. Women from all walks of life, denominations, and corners of the world are catching Beth Moore's contagious passion for God and His Word. Through her Living Proof ministry Bible study resources, weekend conferences, and radio program, Beth is teaching women not only to stand on the Word of God, but to know what it says. 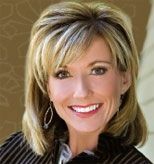 Beth Moore's life and ministry are living proof that Jesus Christ has the power to liberate and redeem any life for His glory. This wife and mother from Houston, Texas, is the founder of Living Proof Ministries and the author of 15 books. Living Proof Ministries is dedicated to Biblical literacy and a commitment to guide believers to love and live on God's Word. Every tape, book or product offered through Living Proof ministry is developed to encourage people to know Christ through His Word. "For the Word of God is living and active. Sharper than any two edged sword…" Hebrew 4:12 Living Proof was founded upon this verse. It is our desire to see people discover and fully experience this truth for themselves. Living Proof Ministries exists because of the grace and mercy of Christ. 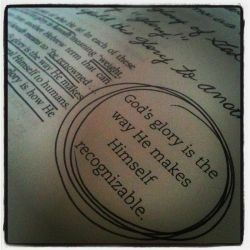 It will always exist to glorify Him alone. He is real. He is alive. And His Word will make a difference in your life. Beth Moore was born on an Army base in Green Bay, Wisconsin, during what her father describes as the worst thunderstorm the city had seen in five years. He affectionately says the Lord brought her into the world with a drum roll. 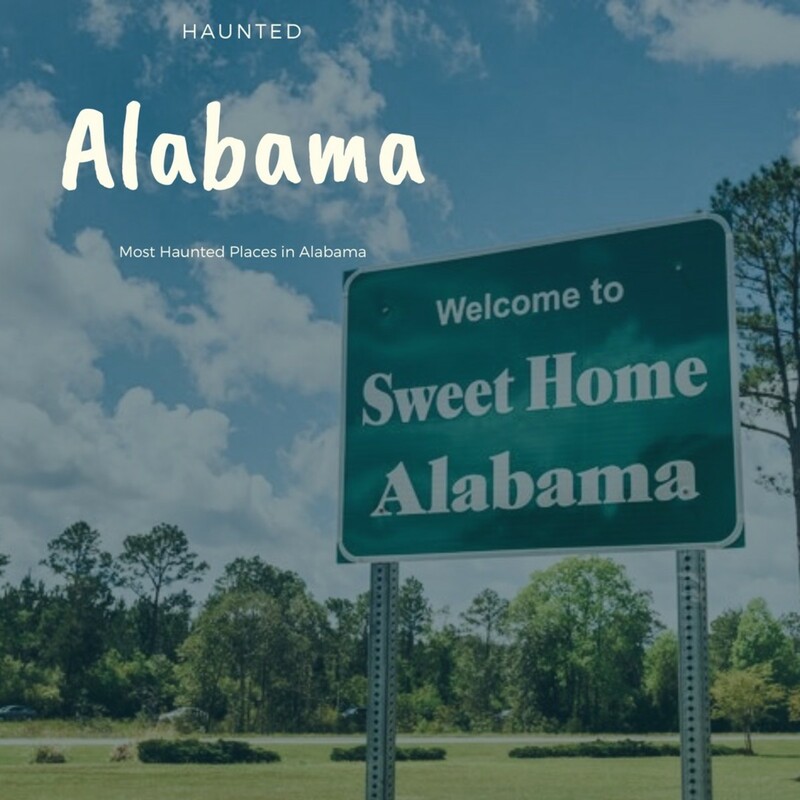 The fourth child of a retired Army major and a homemaker, Beth was raised in Arkadelphia, Arkansas. Her father managed the local cinema where each of her four siblings had a role to play. Beth’s job was to hand out samples of popcorn and soda. Growing up in the theater had its perks. Sometimes Beth would be allowed to slip into a movie and take with her a pickle bag full of popcorn and a Dixie cup of Coke. There in a theater chair, wide-eyed and filled to the brim with Coca-Cola, Beth began a lifelong love for stories. She loved to tell them, write them, and be....read more about Beth at Living Proof website. 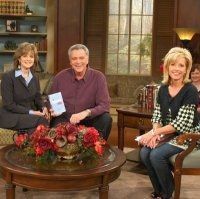 For your daily dose of encouragement watch Beth Moore every Wednesday on Life Today with James Robison. You can also watch online at the Official page of "Wednesdays with Beth," featuring Beth Moore on LIFE Today.Watch online at http://lifetoday.org/video//?search=Beth+Moore. Click here or on the image to find the Wednesdays with Beth Moore Facebook page. Join Beth Moore each week right here for her online lessons designed to help encourage you to stand by the Word of God and to challenge you to really know what it says. Beth's passion is that you will come to personally know God through His Word and realize all that He has for you. The bride of Jesus Christ in our generation is nearly paralyzed by unbelief. God is calling His bride to a fresh and lavish anointing of faith. Through studying the lives of Abraham, Moses, and others as examples of persons who believed God, Beth encourages women to deepen their own trust in God and receive a fresh word from Him. Perfect for Encouraging One Another - Tweet a few! "We're going to have to let truth scream louder to our souls than the lies that have infected us." "Satan never wastes a fiery dart on an area covered in armor." "If Jesus gives us a task or assigns us to a difficult season, every ounce of our experience is meant for our instruction and completion if only we'll let Him finish the work. I fear, however, that we are so attention-deficit that we settle for bearable when beauty is just around the corner." 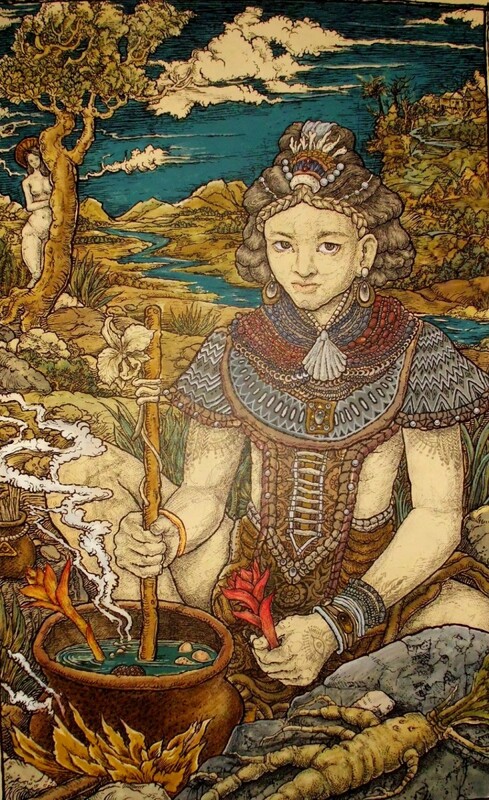 "Oddly, the most freeing thing we can ever do is to abdicate the throne of our own miniature kingdoms." "An ongoing relationship with God through His Word is essential to the Christian's consistent victory!" "Peace comes in situations completely surrendered to the sovereign authority of Christ." "If you are not royalty, He is not King." "Good humor and laughter are far too wonderful not to come straight from the heart of God." "The purpose exceeds the pain." Whenever I'm watching one of Beth Moore's Bible Study DVD's she usually speaks a timely word that pierces my heart. I capture those words to record the precious messages that God brings me through his devoted servants. What are your favorite Beth Moore quotes? Join Beth in a very personal examination of the Old Testament story of Esther as she peels back the layers of history and shows how very contemporary and applicable the story is to our lives today. If you've ever felt inadequate, threatened, or pushed into situations that seemed overpowering, this is the Bible study for you. Just as it was tough being a woman in Esther's day, it's tough today. This portion of God's Word contains treasures to aid us in our hurried, harried, and pressured lives. Tell me what your favorite study is - add to the list if it's not on here. Please share the list with your friends; you're invited to add this list via RSS feed to your blog. 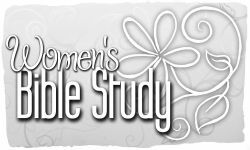 There's no reason why you couldn't host a Beth Moore Bible Study in your home. Love one of her books? Have you been to a Conference? How has Beth Moore Touched Your Life? God has given Beth the gift of Evangelism and she uses it beautifully. I love "The Beloved Disciple" the best! :) thanks for compiling these studies in one lens. :) You've been blessed! Beth Moore is an anointed woman of God. 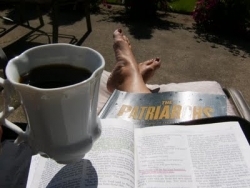 I love her study of Esther: It's Tough Being a Woman. I tabby walters have been so amazed on how God has used you, you so amazing. I am a sunday school teach first for adults, praying God will use me the 1/2 of the way he has you. I have a story about my best friends daughter she has always loved you teachings. She is 18 and we got news that she had cancer in her thyroid she had surgery to remove both, praying the promise scriptures. Then the mayo clinic called a week later and said it was now in her salava. she just had chemo and radiation the 26,27 of July(this week) she is praying since you're such an inspiration to her that she get to see you at the Rupp in lexington. We have already purchase her a ticket and hotel room and that is her goal and seeps her going is to be able to see and hear you in person.. Please pray for her (her name is Felicity Spicer) she has sand in every church in our county, and gives all the glory to God... she is going to college to be a writer for God, and prays she will sing again. She has an God given talent to sing and teach the word of God. No matter how sick she is (bedridden now) she still uses every doctor and nurse to witness to.. The sickness is not about her but about everyone she comes in contact with. Thanks for you prayers. See ya at Lexington (God willing). I have attended 2 of Beth's conferenences; one live and the other telecasted. Each of these teachings radically changed my life. The first one I went to, that I wasn't even planning on going until a member of my church was unable to go and the Women's Ministry leader chose me to give the free ticket to. It was about my eternal marriage to Christ and how my desires for romance and love are found in Him and not soly my husband. I wept as she told me the truth of God's word and the reality of my future. The last few weeks before the conference I had resolved in my heart that I would never get the romance and love from my husband that I so deperatly desired, nobody knew this but me and God too. And when she spoke on that very thing I knew she was a special woman, used and surrendered to God. Since then I have clinged to that reality and am writing a book titled "My Husband is The Lord" sharing my experiences as I conform myself to be the bride of Christ. Her transperancy has been a joy, comfort and great reassurance that we are all in this battle of sanctification together. But what i love the most about her is how she prays on her knees while on stage. The humility, respect for God is amazing and inspiring! 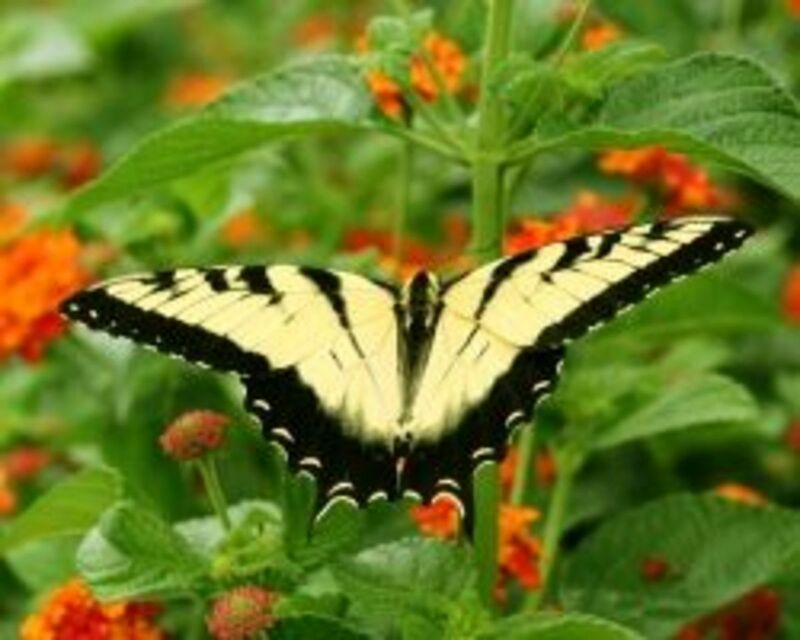 Breaking Free was my first Beth Moore Study. It helped me in so many ways. I love her way of touching you as if she is an intimate friend. Her love for CHRIST and others always shines through! 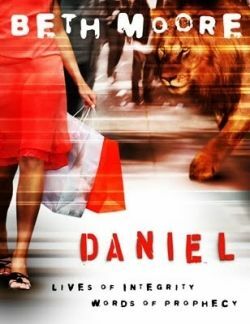 I just started her Daniel study and it is great! Where can I find a bibliography about Beth Moore? I'm just a Beth Moore fan so I don't know specifically how to get in touch with her, however, try visiting her blog or website and contact her this way.